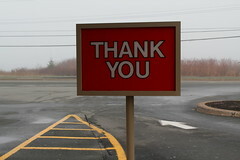 Is there someone in your life who’s made an impact on you that you haven’t yet thanked? How about taking a moment today to express your thanks? The impact could be large or small. Is there someone you encounter in your daily routine who always has a smile for you? Thank them for that. Is there someone who made you see your world in a new way and changed the course of your life? Send them a note to say thanks. Or maybe there’s someone that you normally thank automatically, like a cafe worker or a bus driver… Look them in the eye and feel the thanks in your chest as you’re saying it. Gratitude and good feelings are contagious. Spread them around generously.